It allows to switch between cartridges single-handedly, which means you save time and increase productivity. 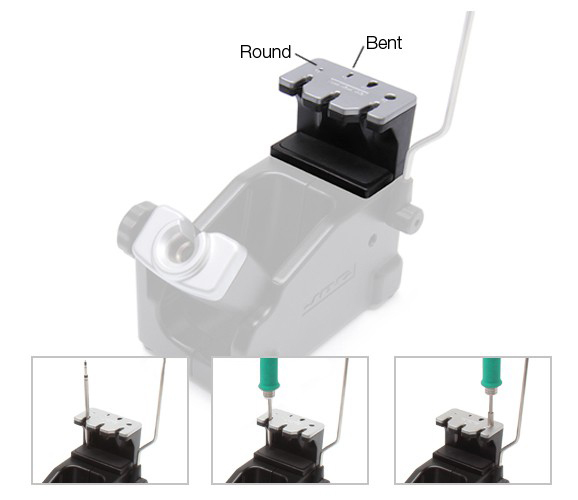 Perfect cartridge insertion It features 4 holes at the top to make the cartridge fit completely when pushing. Suitable for round or bent cartridges from the C245 and C210 ranges. Double function It is also perfect for use as stand for 3 cartridges. Each slot holds one cartridge so you can see the end of the tips for quick selection. Works with AD-SD and DN-SD stands.